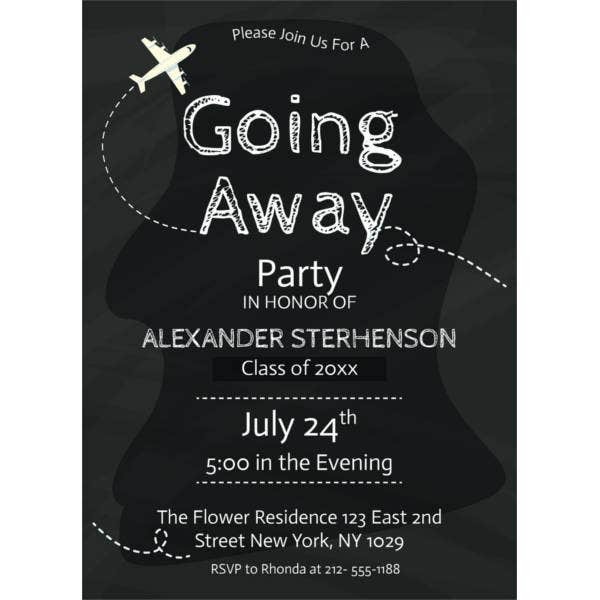 It’s customary to send a formal invite to your guests when you want to invite them to your party. 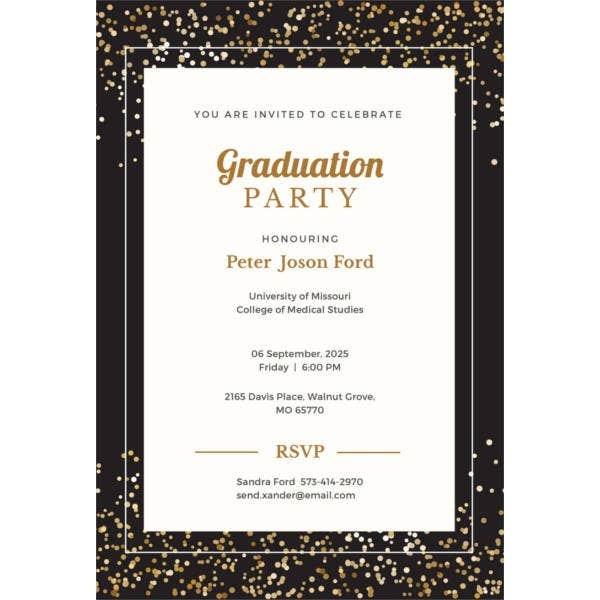 Yes, you can always call them up over the phone to inform about your party but then a written invite assures a courteous touch to the overall invitation and any guest would love to be invited formally through party invites. 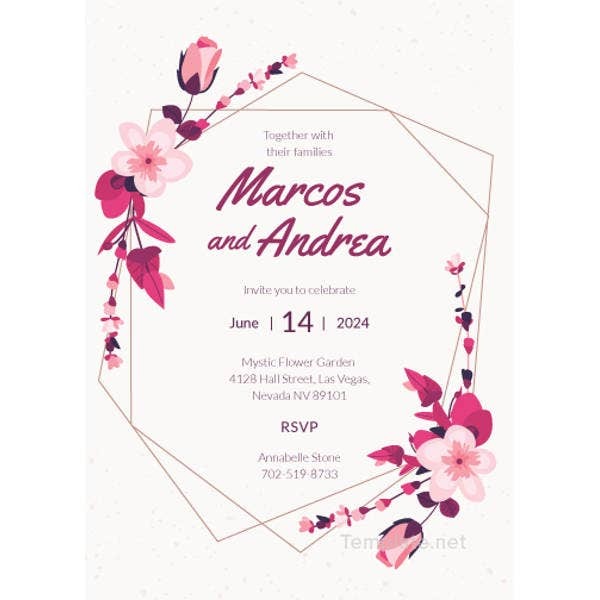 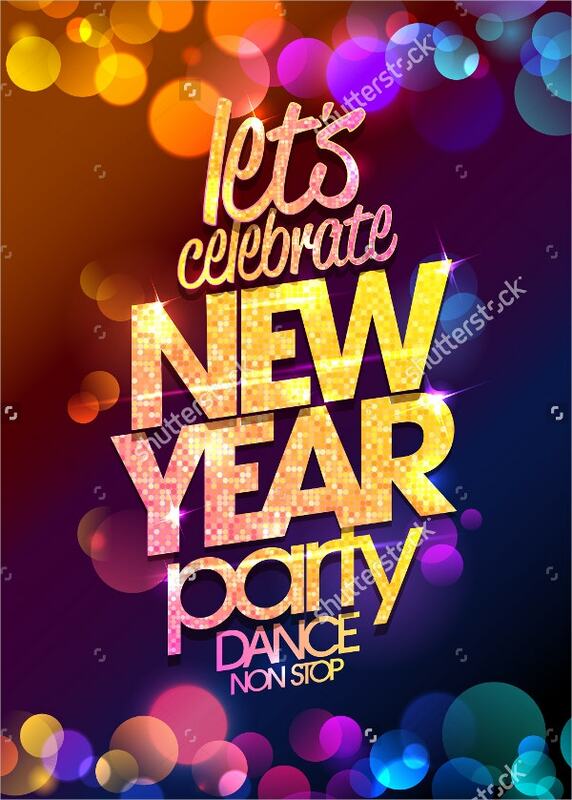 Besides, the party invites are also helpful in confirming the date, time, and venue of the party so that there is no confusion at the end of the day. 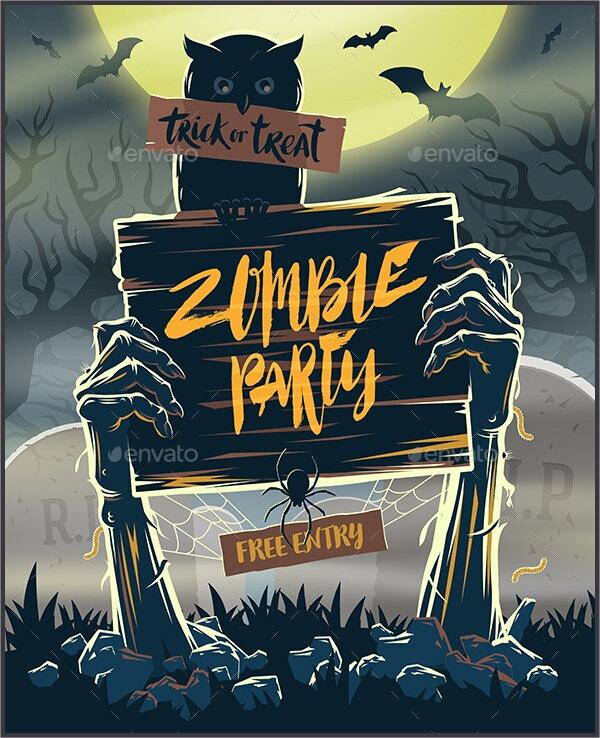 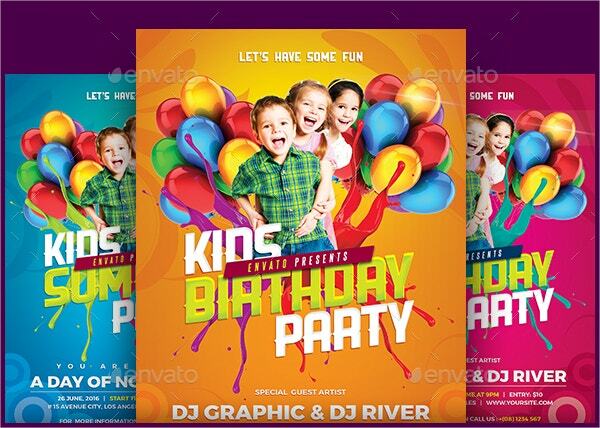 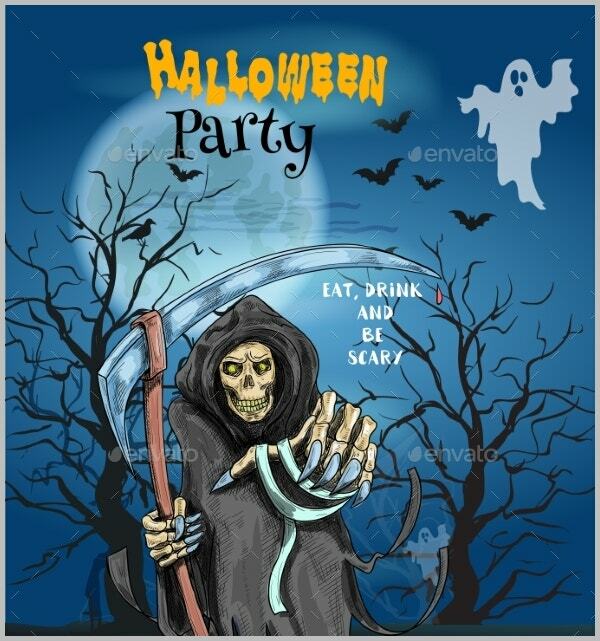 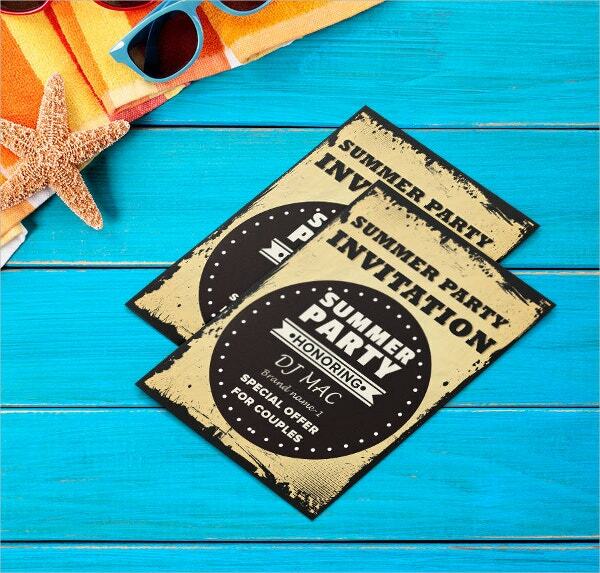 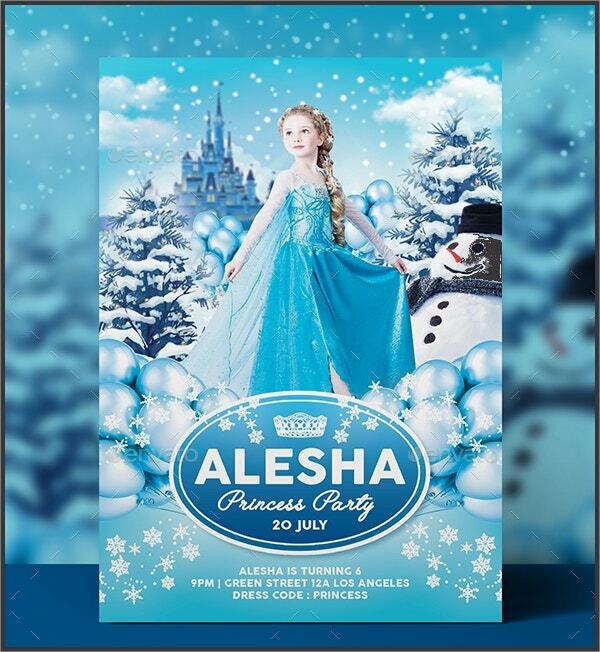 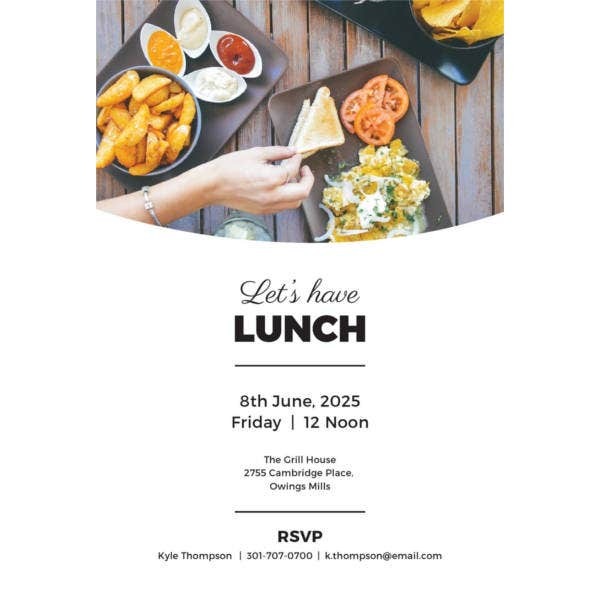 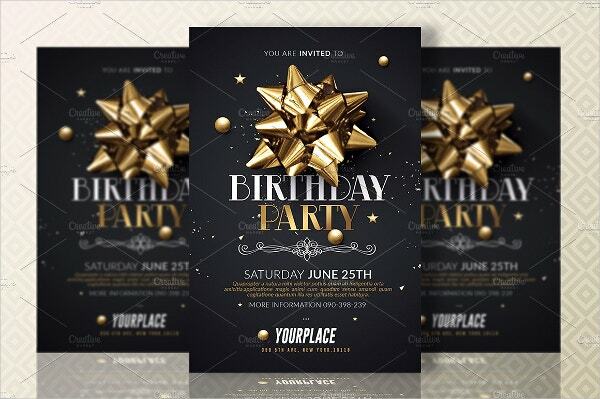 Check out the below-mentioned Party Invitation Templates for your use. 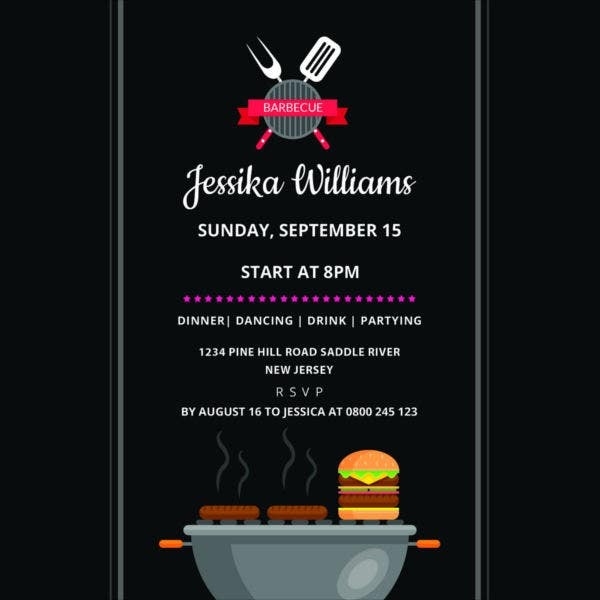 The steaming grilled sausages and the red wok altogether have created the apt picture of a BBQ Party Flyer that would be loved both by you and your guests. 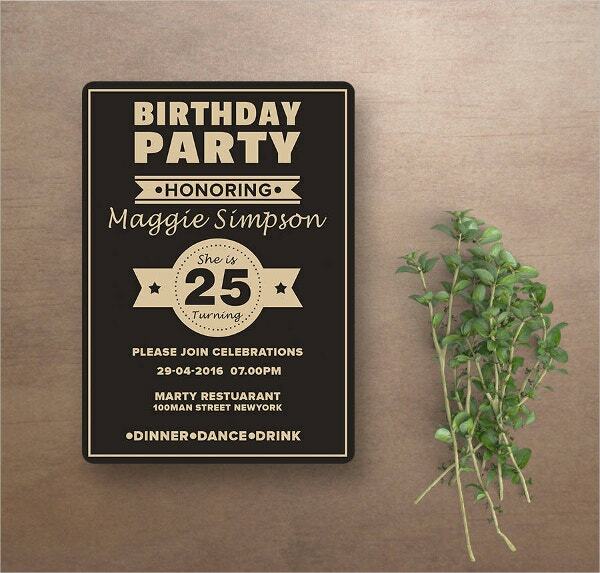 There is a classy vintage theme all over. 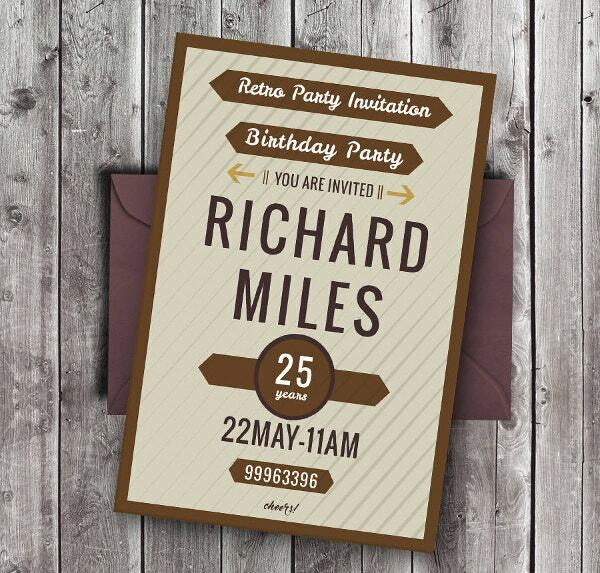 If you are looking for simple and smart Birthday Party Invitations with a retro touch, look no further than this template. 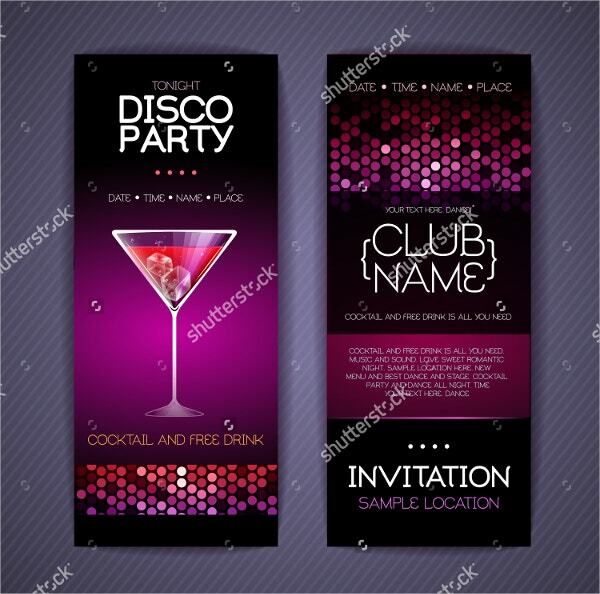 It offers space for all the important aspects of the party for the convenience of your guests. 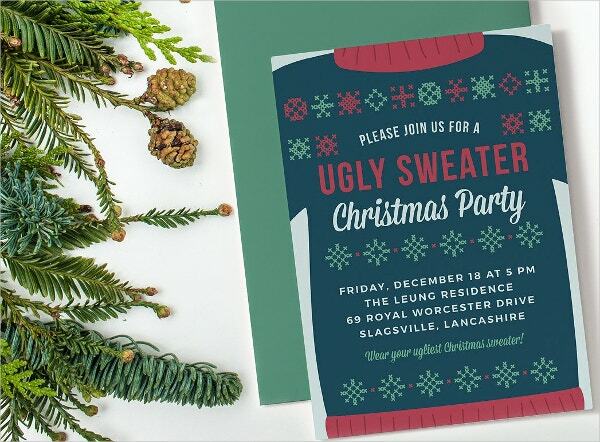 The beige background is great to churn up the faded vintage feel while the smart use of red here and there brings in the perfect Christmas feel. 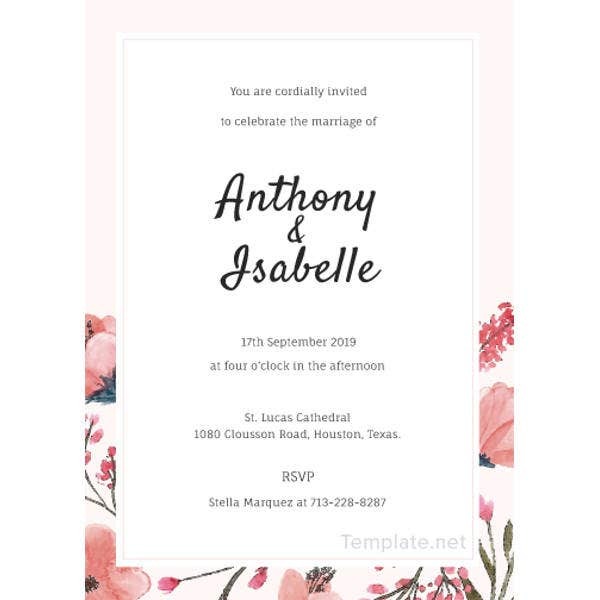 You have space to include the date, time, venue, and RSVP. 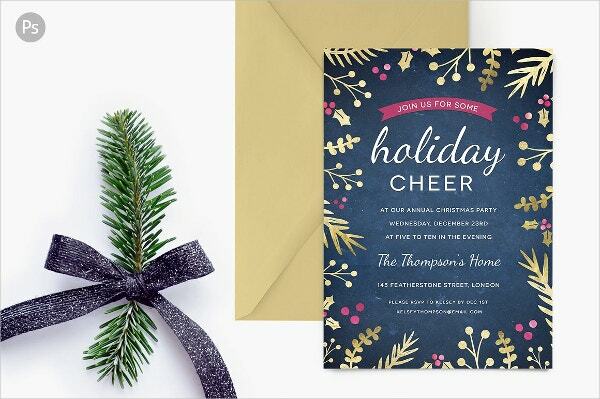 The red Christmas berries and leaves all over have together brought in the perfect holiday celebration mood to the party invitation template. 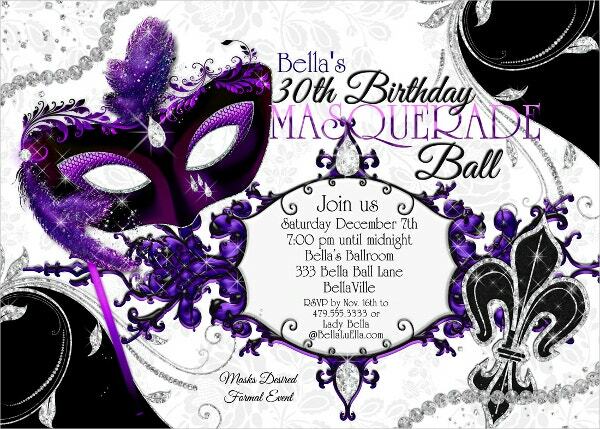 The navy blue backdrop is suave and elegant. 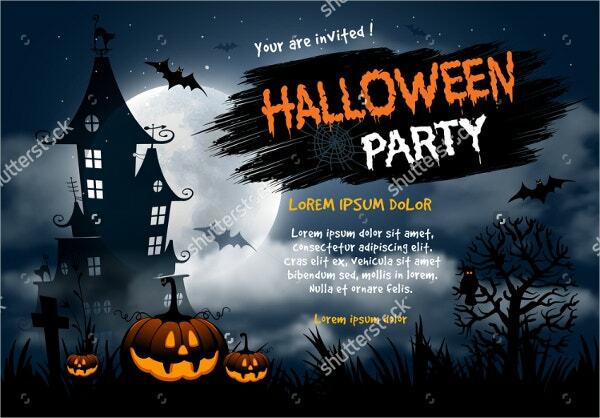 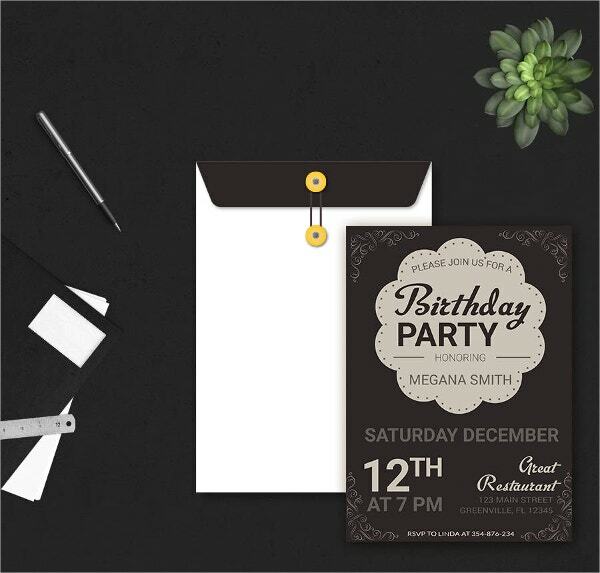 > What are the Tips While Creating Party Invitations? 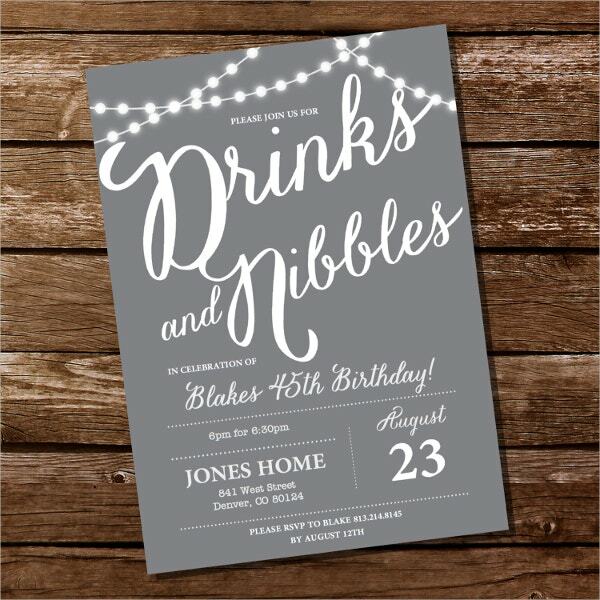 When you are creating a party invitation, first you must consider the subject of the party. 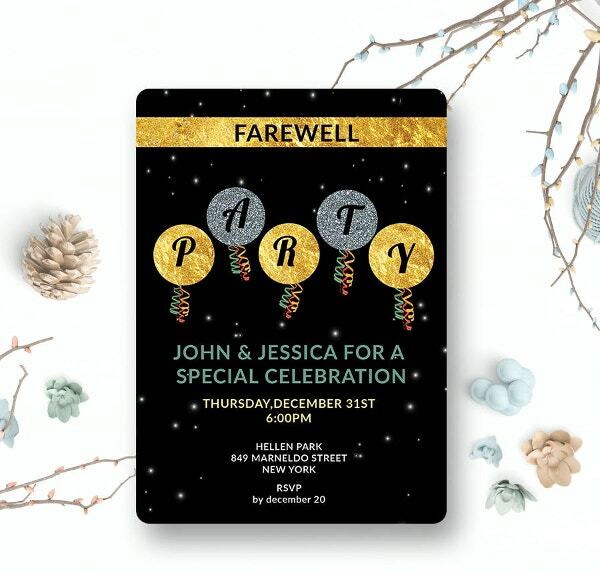 Yes, all parties majorly mean gala celebrations but then the portfolio of a Wedding Party Invitation would definitely be different from that of a Christmas party. 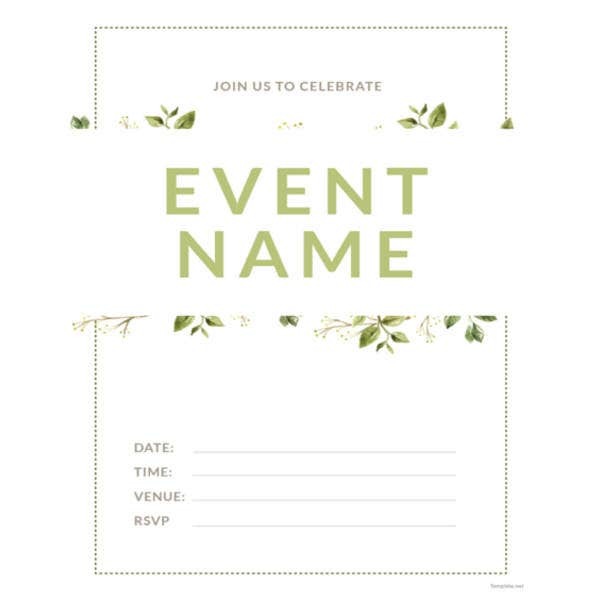 Then, whatever design you choose, make sure you have enough room to mention the main aspects of the party legibly- these are the time, venue, day, date and the principal party message. 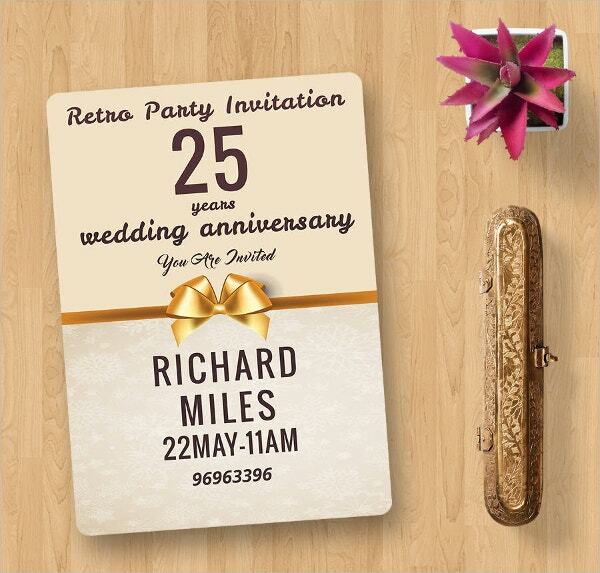 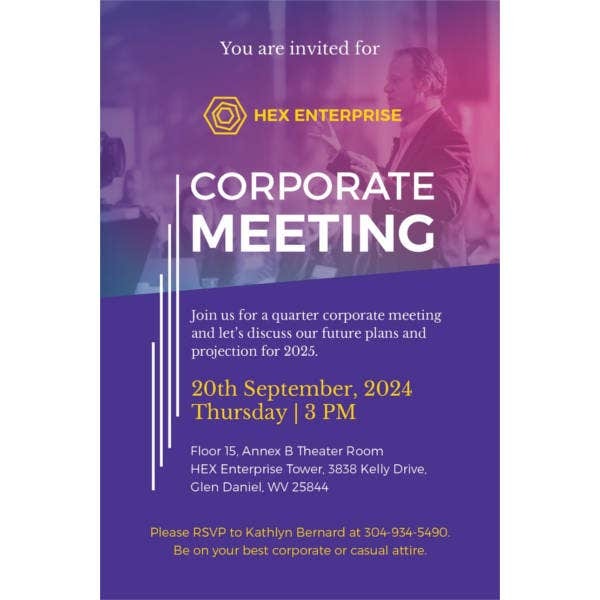 It would be great to include the RSVP numbers on the invitation as well. 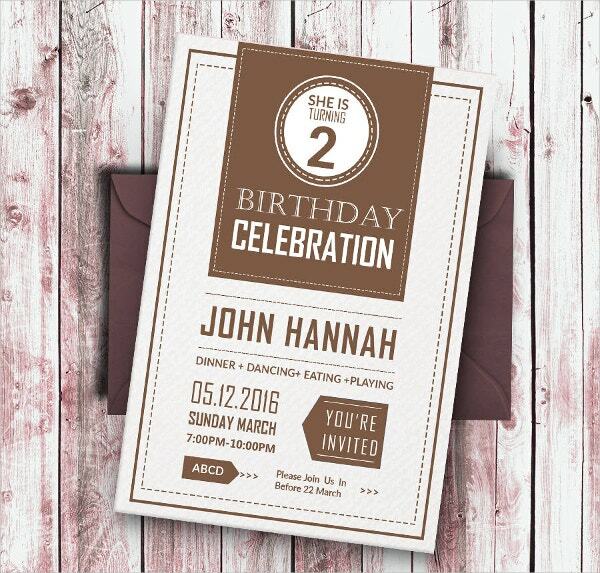 You should also give a hint on what the guests are to expect at your party. 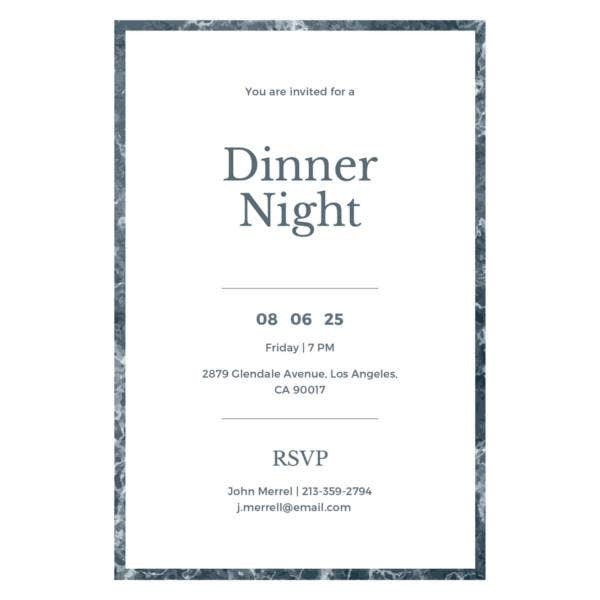 For example, if you are going to have both dining and wining, don’t forget to mention that. 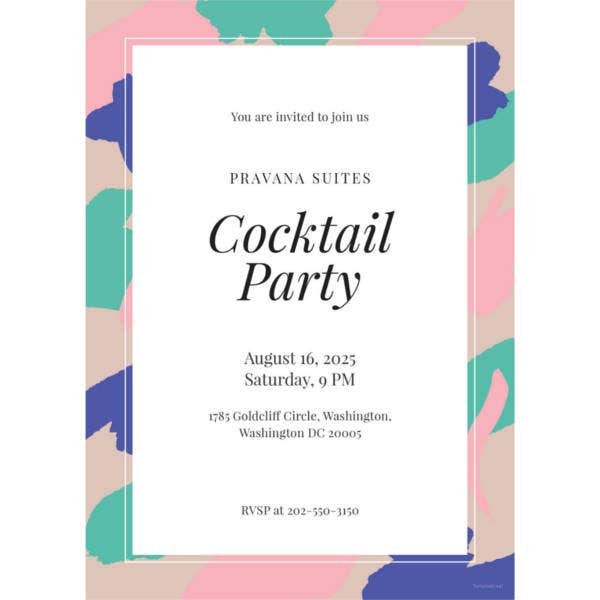 > What are the Mistakes to Avoid in Party Invitations? 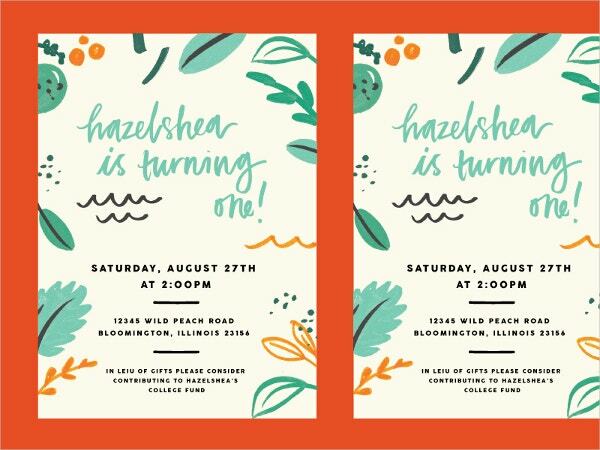 One of the primary mistakes to avoid in the Party Invitations is wrong spelling or typo issues in the date, time, and venue. 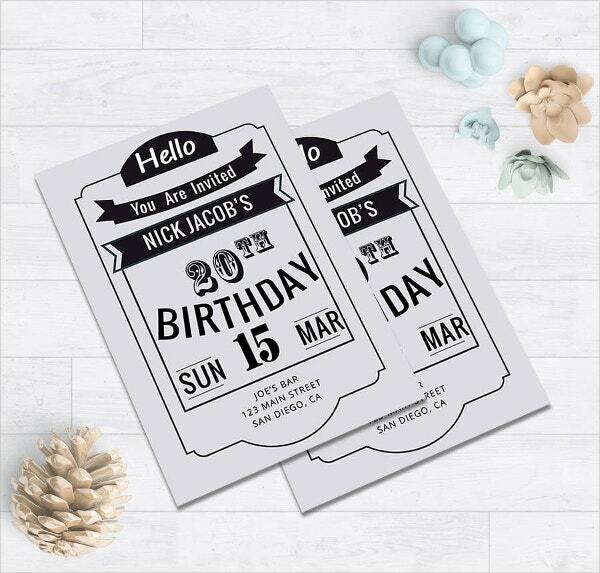 These might be minor mistakes but would go a long way in confusing the guests and can even mislead them about the timing and the place of the party. 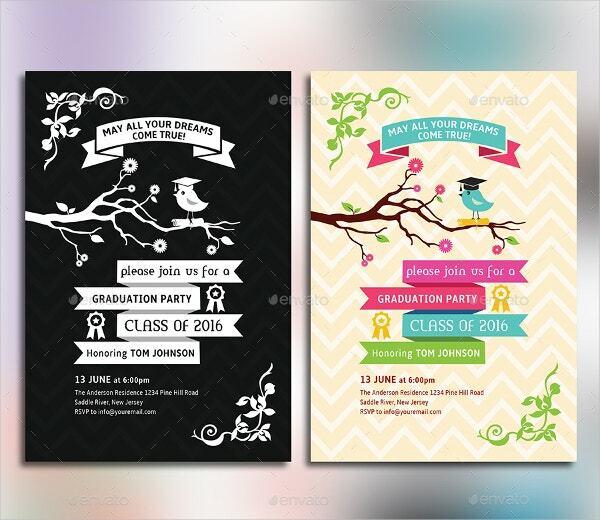 Then, if you have decided on specific dresses for your theme party, do not forget to mention that on your party invite. 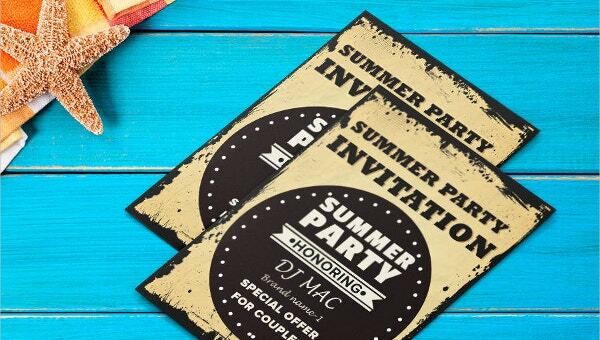 A lot of people prefer to include photos in the invite. 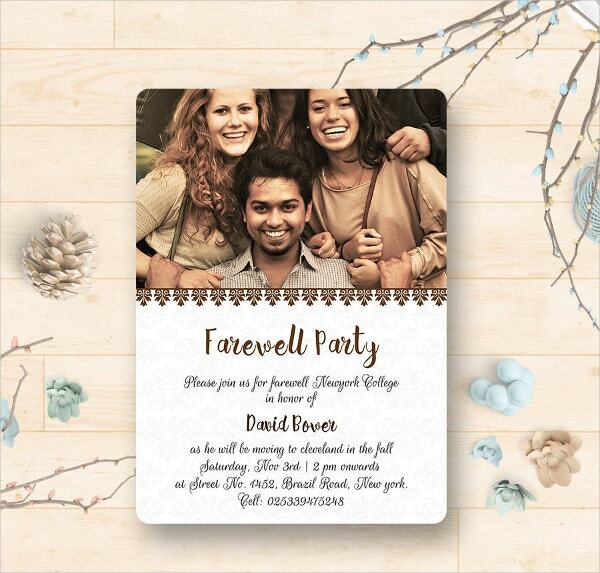 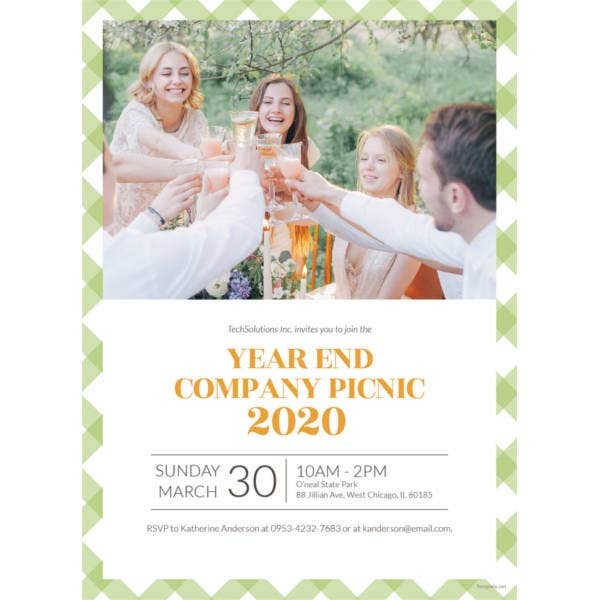 It’s great as long as you are using high-resolution clear crisp photos as otherwise, you will end up ruining the entire invite. 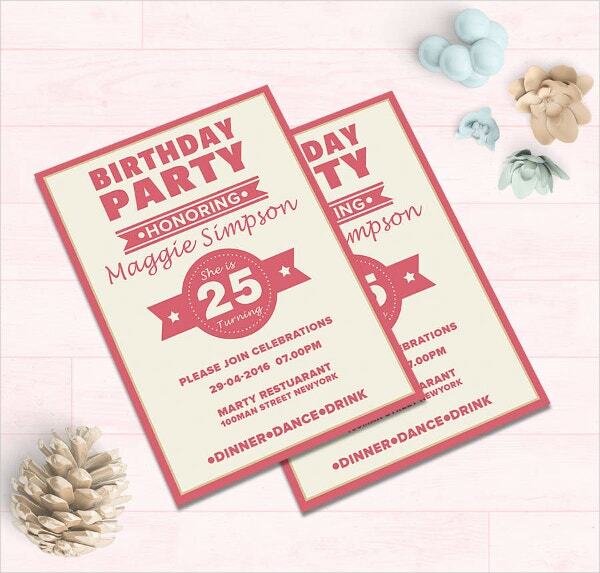 Are you looking to create party invitations and seeking ideas? 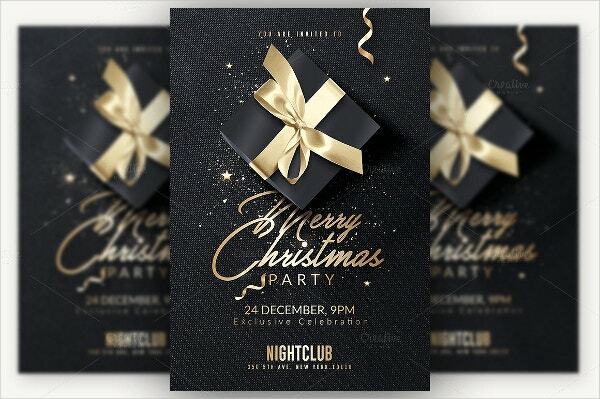 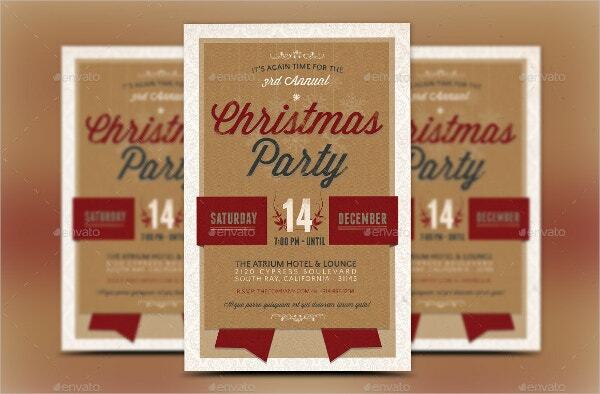 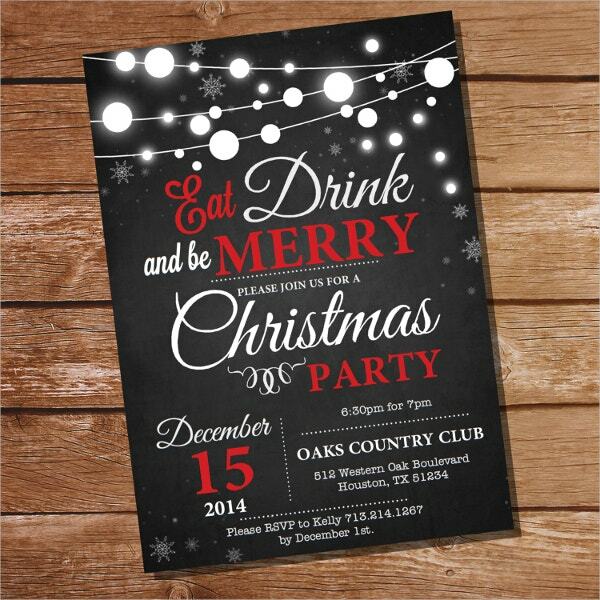 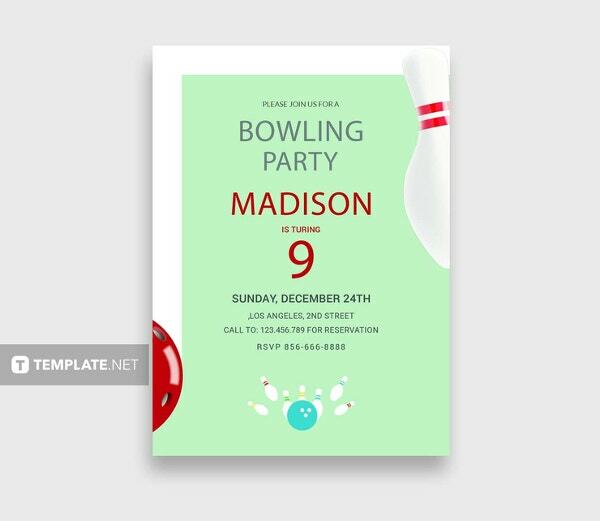 Well, the templates mentioned above are all that you need here as they have come up with beautiful and standard Party Invitations that can be used for a wide range of parties- be it a vintage Christmas party or a hot BBQ invitation.